The OrthoSleeve White Compression Calf Sleeve provides muscle support, recovery and pain relief. It aids recovery from calf cramps, shin splints and more. The OrthoSleeve White Compression Calf Sleeve can help relieve most pain and discomfort in your calf and lower leg muscles. So much that, OrthoSleeve’s Compression Zone Technology provides muscle support, recovery, and pain relief. In fact, this is a non-invasive leg support provides maximum pain relief for those who suffer from venous insufficiency, calf cramps, Achilles tendinitis, shin splints, and much more. 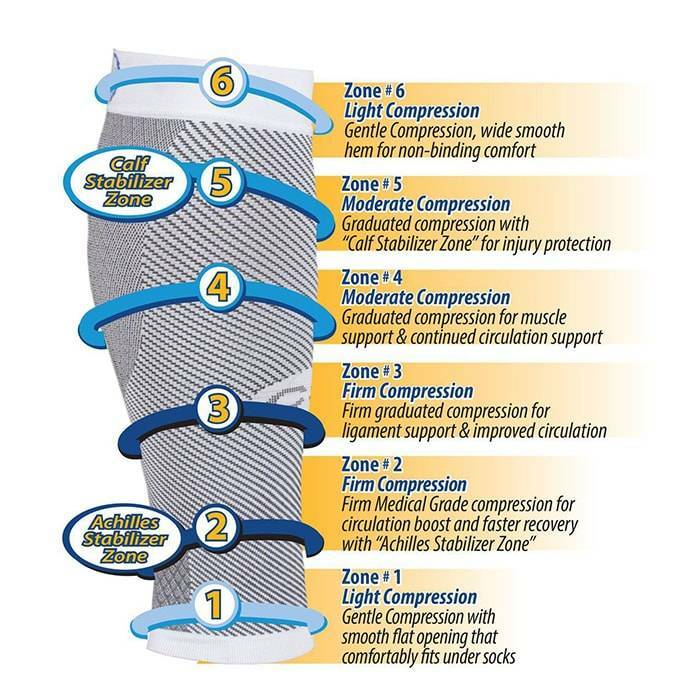 For one thing, OrthoSleeve’s Compression Zone Technology offers six zones of graduated compression to better facilitate blood circulation for increased recovery capabilities and range of motion. Not to mention, it is so comfortable and effective; you can wear it under most socks. 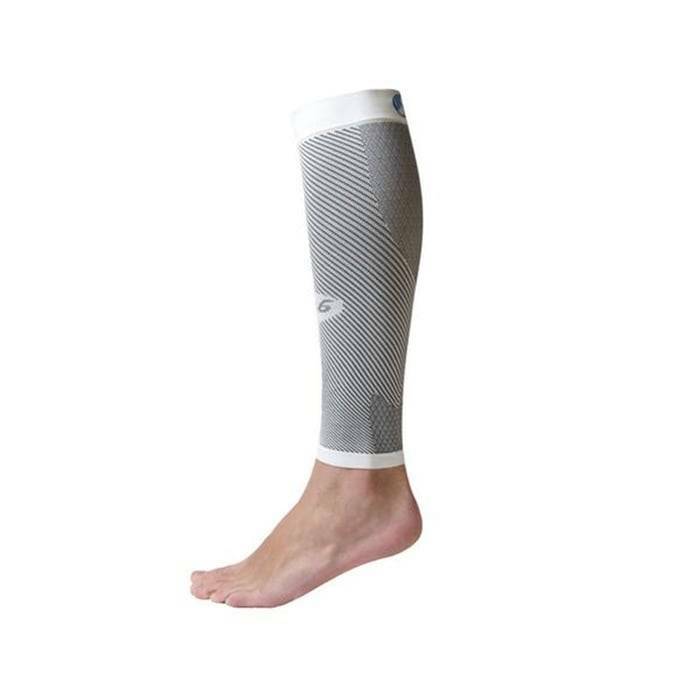 Overall, this compression calf sleeve is easy to apply and remove. Eases heel pain and reduces swelling. Lightweight, easy to apply and remove. For one thing, the six zones of graduated compression will support your legs while boosting blood circulation. Click here to shop more foot care accessories. Feetures Light Low Cut Black sock is designed with a focus on fit. Feetures Ultra Light Low Cut Black socks have the perfect amount of compression and has a seamless toe.